This a completely new mod will allow you to jump on the walls! 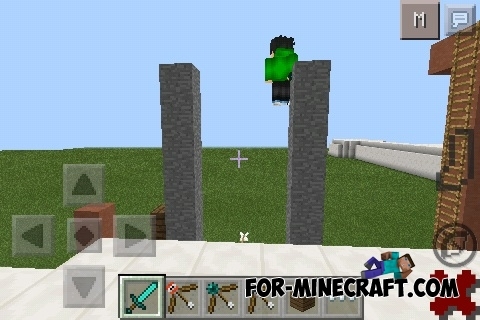 It was created for fans of parkour in Minecraft PE 0.11! Addition a really cool, and use it is not difficult. You need to get up close to the wall, and then press on the button to make a new jump. And, if you happen to fall, by jumping too high, you will get some damage.